Mary and Alice were hunting for the cows that had strayed into the woods. Now they were lost, and as the night grew darker and the hooting of owls echoed through the woods, Alice began to cry with fright. 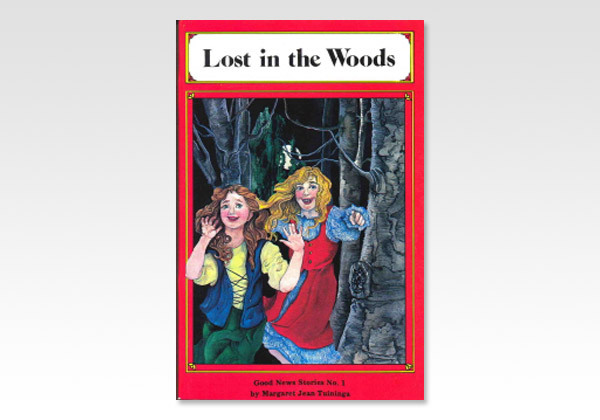 "Lost in the Woods" is just the first in this series of twenty-three gospel stories for children. Margaret Jean Tuininga has woven the story of the gospel of God's grace skillfully and clearly into each story. The companion volumes, "The Doll that Grew" and "Face to Face with Lions" each contain further exciting stories especially suited to children in the four-to-ten year old age group.